Hull based Hica Group has hit the right notes with care home residents after investing in a music therapy initiative. 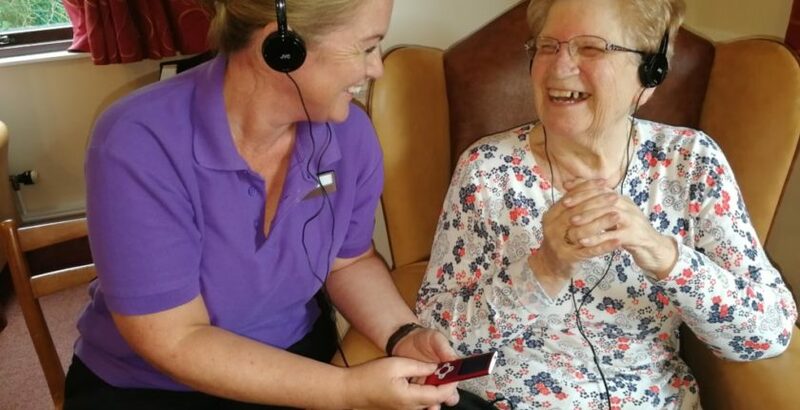 The not for profit organisation’s ‘Playlist for Life’ uses favourite songs to evoke fond memories for residents while boosting their mood and engagement. Brian Johnson, activities and wellbeing lead across the Hica Group, said: “The Playlist for Life scheme is a fantastic concept which we’re proud to have invested in. Improved engagement and resident/carer relationships are just some of the benefits that others have seen from the initiative. We’ve had some really positive feedback from our dementia specialist and learning disability homes in particular. UK-based charity Playlist for Life delivered training for the scheme to all activity co-ordinators at Hica Group’s 15 care homes in Hull and East Riding and two retirement villages. The training explored the value of music therapy, as well as looking at the clinical side, on how music stimulates the brain and how to ensure that the music chosen is suitable for each individual. The scheme uses MP3 players and iPods bought through staff, residents and family donations to Hica’s Shine Fund.